Rusty's music career began over 40 years ago at the age of seven when he started taking piano lessons. His home life revolved around two sisters and a brother. His father worked two jobs and his mother stayed at home to take care of the kids. Rusty says, "My mother was key in my life regarding music. No matter what I played she said "It was beautiful." 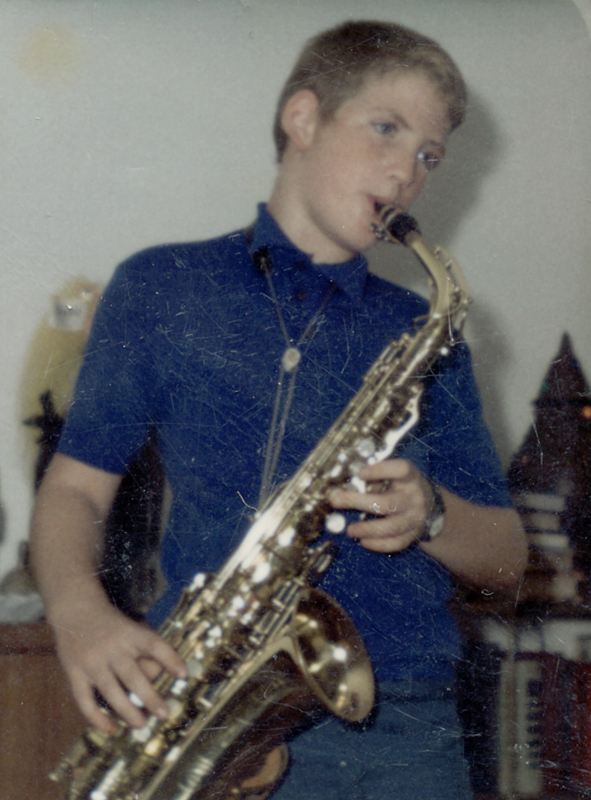 When I was ten years old I had to opportunity to pick a band instrument. During that time a sax player named Boots Randolph had a TV show that I watched every week. I wanted to play the sax like Boots and chose the saxophone". Going to a public school Rusty participated in concert, pep and marching bands through his senior year. Also, he joined a rock -n- roll band that played in the Northern Kentucky area. They had lots of rehearsals and after one gig the members decided they didn’t want any horns, so much for his first gig. Church was key in Rusty's life as a soloist. The first song he performed for a congregation was "Body & Soul' by George Gershwin. According to Rusty, "I figured it was appropriate because that was what was talked about in Sunday school." Performing regular solos for the church congregation developed his passion for playing and performing. 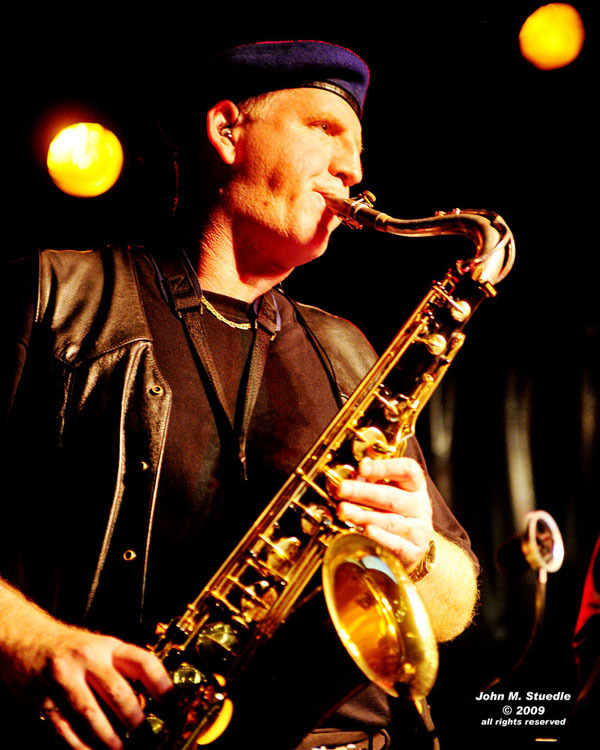 While attending college at Cincinnati State Rusty had stopped playing the sax and realized that he missed playing music. He auditioned for and enlisted in the US Army Band program. After six intensive months of training at the School of Music in Norfolk, Virginia. 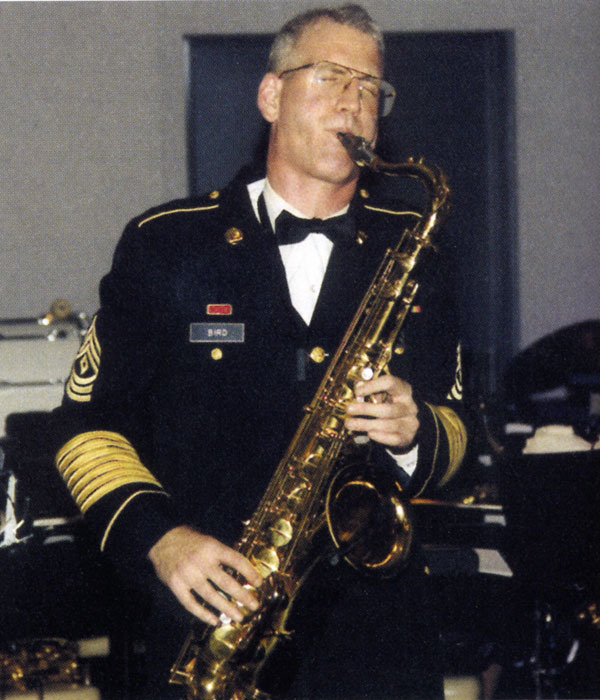 he was assigned to the 113th Army Band in Ft. Knox, KY. With the 113th for the next three years he traveled five states, performing with the concert, jazz, marching, dixeland and rock bands. He has played the National anthem for the Kentucky Derby five times in addition to playing for two presidents. A highlight of my career is appearing in the the movie "Stripes"- I am in the band at the graduation ceremony in the movie. In 1980, after his enlistment, he moved back home to Northern Ky. and joined the 100th Division Army Reserve Band in Hebron, KY and started his career in engineering. Although the reserve kept him playing at a time when his life was too complicated to do anything else musically. In 1987 he joined a group called the Marksberry Orchestra as the lead alto player. Weddings and parties made up the thirty or so jobs they played each year. This was also the same year he started his advertising/graphic design agency and began subbing with other bands in addition to performing solos again for church congregations. In 1995, his good friend and Minister of Music Phil Quinn asked him to be the main attraction at the Living Christmas Tree production at Erlanger Baptist Church. This inspired him to record his first CD "Merry Christmas From The Heart" He now performs these songs during the holiday season every year for audiences all over Kentucky and the Tri-State area. Retiring from the reserve in January 2001 as the 1SG of the 100th Div. A rmy Band Rusty wondered what he was going to do with his musical career now that he was free of the military. The day he retired he received a phone call to audition for local rock-n-roll group BlueStone Ivory. So now he plays with Blue Stone Ivory on the weekends, teaches saxophone at Wert Music in Erlanger Kentucky, and gets up early on Sunday mornings to play for various congregations in the Northern Kentucky area.